Patience is a virtue that I sadly don’t have. Whilst I can see the appeal of atmospheric electronic musicians like Jon Hopkins and the Haxan Cloak, I often find myself clockwatching during the big long build-ups. An artist like loopy French house producer, Mr. Oizo, is much more up my street. He doesn’t allow time to breath, let alone check a watch. Employing AD/HD pacing, he cuts out the foreplay and assaults the listener from the off. The Church starts with ‘Bear Biscuit’, an energetic trap number with squealy woop noises and jittery glitch bits that sound like a crashed computer. This gives a taster of the crazy palette of sounds to come - the shrill telephones on ‘Machyne’, the obnoxious sampling on ‘Dry Run’ and the industrial glitchiness of ‘Torero’ - perhaps some of Oizo’s most creative sounds yet. Of course, a lot of people out there are likely find these sounds more irritating than impressive. Some of them, particularly the squealing woop noises, tested my thresh-hold (maybe a little patience is required with this record). Personally, I feel there’s a humour to them that stops them from being plain infuriating. 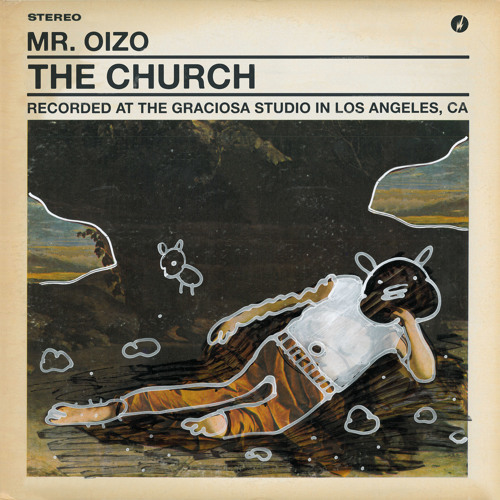 This is particularly present in the album’s closer, the title track ‘The Church’, which includes a kooky voiceover about a group of friends who get bored, steal a car and go to church. There are also some genuinely tuneful moments hidden in the mix such as the mental funk-jazz jam, ‘iSoap’, which adds a nice chic mood shift to the album. ‘Destop’ also contains some pretty chords in amongst its skittery bleeps and bloops that prove Oizo is capable of smoothness. Some of the tracks here could be longer and more fleshed out. ‘Memorex’, at only one minute in length, feels unfinished. Its one of the seldom cases of filler on an otherwise concise and meaty album.